i used to be a member of the southampton club--back in the 1990's--meeting 2 evenings a week at the Eastpoint center. 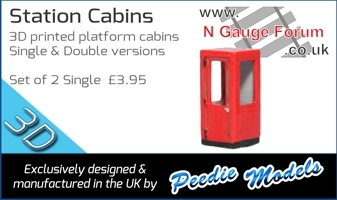 i was involved in building the clubs n gauge layout--exeter central, and operating it a a few exhibitions. i moved away from the area in 1999.
i used to be indecisive...but now i'm not so sure. Looking forward to it assuming that the RMT Union don't call another strike that weekend in their long-running dispute with SWR over the future role of guards. Back in November there wasn't any service near me every Saturday and the Sunday service doesn't start before 09.15. Might have to resort to the car, weather permitting. That’s funny I’ve just mentioned a few minutes ago to Steve of Midsummer End that B H E will be at the show as he was thinking of visiting me again at the end of Janurary. 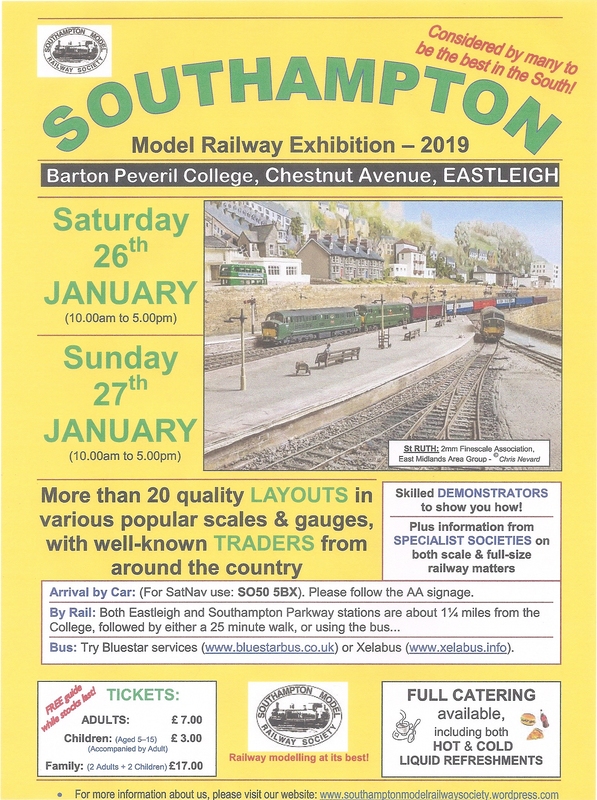 With just 3 weeks to go before our annual exhibition at Barton Perveril College, Eastleigh, here is latest list of layouts/sales stands/exhibitors who will be attending. Page created in 0.103 seconds with 39 queries.